MASTERING OUR MASTERY ~ The ELOHIM via Adele Arini, 28 February 2019. It is time that we play a bigger part of your life from this moment onward. Our name is synonymous with God, Supreme Creator & Source of ALL. In this vast Kingdom of God, we are the Beings who get sent out to create, expand and multiply. 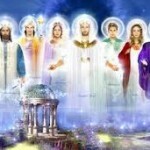 As a group, we act as the ‘right hand’ of God; we are truly the building blocks of ALL in Creation. We get to assist on the creation of complex physical structures of any kind, as we are the eternal bridge between non-physical and physical. In 3D terms, let us use the relationship between: a newly-wed couple who will be future house-owners, their architect and their builders, as an example here to help you understand who we are. This couple is excited to build from scratch their new marital home; they know they have a lot to do and have secured the assistance of competent architect & builders to help them manifest their dream house; i.e. turning their concepts/ideas into physical reality. In cosmic/universal terms, this newly-wed couple can be anyone who needs our assistance. It also represents every single one of you here; incarnated souls (individualized aspects of God) who have reached advanced spiritual maturity levels, and now ready to embrace their Godhood. In other words, the newly-wed couple represents those of you who are ready to master your mastery – i.e. master your creation and manifestation skills. The architect will always be Prime Creator – the Alpha & Omega – Source of ALL THAT WAS, IS AND WILL BE. And we, the Elohim, function as the Builders of Creation. The Builders of Form. This relationship between the three (between the souls who are wanting to create, the architect and the builder) is the Holy Trinity. It is the very fabric and foundation of Existence in Physicality; in the physical realm. The Father – represents our Prime Creator; Source. The Son – represents all who wish to participate in the Creative Process; any soul who is ready to embrace their Godhood and graduate to a higher level of Creation. The Holy Spirit – represents us, the Elohim. We are the Divine Fires/Flames of God; the embodiment of Qualities/Aspects of God needed to support all in the act of Creation. The Elohim can be called upon for assistance anytime and we happily go to wherever/whenever our services are needed. Our minds, our entire beings are always aligned and faithfully attuned to the Divine Mind and Heart of Source, to a complex degree that is perhaps unfathomable to everyone here at the moment. Each and every member of the Elohim, embodies & personifies one aspect/quality of Source that is needed in the fine art of Creation, Manifestation or, Precipitation. You are living in magnificent times, Mighty Ones. Many of you here reading/listening to this today, are attracted to this message because on some level, you know that it is time to embrace your power. You are here because you are ready to walk, breathe, think, say, feel and act as the physical embodiment of your all powerful, God-Self. You are ready to be our agent/representative for the God of Light; the God of Love; the God of Oneness in every sense of the word. You are ready to be a spiritual master whose very existence exemplifies a Loving, Benevolent God in physical form. So that one day, when people see you, they will be able to easily believe in the existence and magnificence of the One God who loves ALL. Remember where you came from. It is time for all of you to stop acting as though you are a victim of your circumstances. It is also time for you to snuggle even more deeply within the embrace of your Higher Self, and truly realize that you have everything that you will ever need, within you, to solve all the life challenges you are facing right now. Those of you who have been awakened for awhile, it is also time for you to be this agent of LIGHT & LOVE wherever you go, in ALL interactions with the people around you, and with the world. Every day, every moment, every action you take, everything that you do, is a reflection of who you are. It is important that before you do/say anything, to always check in with your Self, is this based on Love? Are the words you are about to say to others and self, based on Love? Does this reflect the Love that is my True Nature? Is this how my Higher Self thinks, talks, feels or behaves? This is how you walk your talk, loved ones! You can not claim to be higher-vibrational, if your words, thoughts, emotions and actions indicate to self and to others that you are the opposite of Loving, Joyful, Compassionate, Patient or, Peaceful. Life/spiritual Mastery can NOT be done part-time, depending on your mood on any given day. On your good days when you are more rested/relaxed, you will remember to be: positive, loving, patient, kind, generous, non-judgmental. On your bad days however, during your more challenging days, you then return to your 3D ways of Being: negative, unloving, impatient, unkind, ungenerous, judgmental/not respecting other people’s free will. There are no excuses for those of you who are wanting to master your Mastery. Either you are displaying your Mastery by being loving & higher-vibrational no matter what, or, you are displaying the opposite. There are no middle grounds that can be found here. 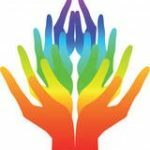 You cannot say to us one day: “Woops, I probably shouldn’t have said that, or done that, as someone who is walking the spiritual path of Light & Love. Sorry my Higher Self, I’ll do better tomorrow. Lack of sleep could do that to anyone” and then, only to do it again the next day! By you repeatedly taking unloving action (or, continuously saying unloving words) to both: self or others, probably for a different excuse/reason the next day, and the next. The pendulum just keeps swinging back and forth, between your ‘good side’ to your ‘bad side’ depending on many factors, usually your mood or, your body’s physical condition. In fact, many of your bad days are pre-arranged; they are there to ‘test’ you, for you to see for yourself, how much you have grown. 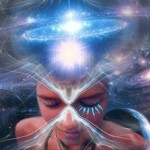 To see how much more like your Higher Self you have now become. Your habitual patterns, ways of thinking, your dietary requirements, your belief systems, have now become more aligned with your Higher Self. Those bad days can be a useful tool; a useful indicator for you to see how much more you have to go, or, how much you have advanced in your journey back to the loving, God-Self that resides within. Someone who is very close to embodying their Higher Self is consistently acting like their I AM Presence, more than 90% of the time, regardless of what is happening around him. He will often think, say, feel, react, behave in a loving, compassionate, patient and peaceful way to ALL, most especially to himself. When there is nobody watching you, that is when you should take more time to carefully observe the way you think/talk/behave to yourself, as useful indicators. It is also definitely time to stop waiting around for someone to rescue you from your problems. Focus instead on rescuing yourself by embracing your power! Our message here today was written and had been fully encoded with the 7 Energetic Properties of The Almighty God; also known as the 7 Flames of God. We, the Elohim, along with the Chohan and Archangels of each ray, can help you embrace your soul powers by intensifying all of God’s Sacred Rays within your 4 lower bodies, to bring out your ‘Inner, God-Self’. 1 – the Empowering energies of the Will to do; a symbol God’s Omnipotence. This ray represent God’s Omniscience. holding everything together. This ray represents God’s Omnipresence. Angelic: Archangels Chamuel & Charity. and endure, so that you never lose sight of your goals! God’s energies of Infinite Freedom, through the intensive use of the Violet Fire. With the activation of your higher dimensional chakras, there are 5 more Divine Rays of God that will soon play a part in your creations. But be aware, beloved, that you need to master the primary 7 Rays, before you can move on to the last 5. In fact, when you have mastered the first seven Divine Rays/Qualities of God, the remainder will come naturally. These extra rays will come ‘online’ when you are ready to move on in your physical incarnation, as a great, Cosmic Being. This means it is time for you to get serious with your spiritual goals, o’ powerful ones. We are not here to coddle you. We are here to help you to fully embrace your magnificence and shine like the Mighty Gods/Goddesses you truly are. For thousands of years, humanity as a race had completely forgotten their Divine Nature and fully believed in separation from God/your God-Self, but no longer will this be the case. It is time for all of you to use whatever that is happening around you right now, as a jumping board for you to leap onto the next segment; the next chapter in the story of your life. And what that next segment is, depends entirely upon you, our beloved. Do you wish to continue telling yourself, telling the world the ‘same old, same old’ 3D story full of fear, full of negative dramas, full of lack or scarcity, and full of separation, or, are you ready to truly act like the all-powerful, higher dimensional beings you already are – in the ultimate reality that is the non-physical realm; your ‘Home’ in Heaven? If it’s the latter, then call upon our assistance. Ask us to strengthen the power of our 7 Divine Flames within you and to purify you from within. Spend time connecting/communing with us on a daily basis, and remember always, to focus only on what you want. And NOT on what you do not want to have in your life. The last piece of advice sounds basic and it has been repeated so many times, in so many different ways, through so many different messengers. You maybe are wondering why a reminder is constantly needed? Your mind, your words and your emotions – i.e. your entire consciousness is so easily influenced by whatever it is that is currently happening to you, or, to the people around you. Your consciousness has been highly conditioned to fear, lack and separation for thousands of years. It takes a lot of dedication, commitment and practice to switch your automatic pilot mode from the lower altitudes to the higher ones. And the very first step to doing so, is your WILL to do. Your WILL to once again become the God you have remembered yourself to be. 2019 will be THE Graduation Year for the majority of you reading/listening to this message. It is going to be the year when you will transcend and leave behind many of your old ways; many of your limiting beliefs. It will be the year when your life can truly take off, if you have been faithfully following the inner guidance given to you, 100% of the time, despite growing evidence to the contrary. 4 – Simply let go! The positive outcomes will come to you, one way or another. Never doubt! Adele recently read a comment somewhere from several light-workers how by following their inner guidance, they had recently lost their jobs, their life partners, their health, their money, their car, and the long list continues. Those people were completely blaming their Higher Self/spirit team for not giving them what they wanted, after changing their lives in the direction spirit had directed them to go. To these people, we will ask them these questions. Is blaming others the way to Mastery? What are your vibrations like these days? Like attracts like. If you do not take action to immediately find any way to improve your vibrations, for example: by taking actions/by following guidance that perhaps you do not like to do, then you will continue to fly in the lower vibrations and not find a way to attract abundance & prosperity into your life. Instead of blaming the members of your ever-supportive & loving spirit team, you have to collaborate and work together with us, to achieve the desired results. We cannot live your life for you, nor can we fix your vibrations for you. Only you can do that for yourself. In other words, we can only help those who are ready to help themselves. Are you ready for Mastery, loved ones? If you are truly ready, then show it to us. Demonstrate it to us by the way you think, by the way you talk, by the way you behave in your day to day lives. Take a sacred time-out to commune with your Higher Self more often, so that you will continue to be on the receiving end of our endless guidance & wisdom. We are constantly ready to give you different ways/solutions to your challenges. But you need to put yourself in the ‘receiving mode’ with your ‘antennae up & on’ in order for our messages to get through. You cannot focus on your problems for the solutions to then appear. And that is all we have to say on the subject today. We hope today’s message had served to empower all of you to embrace your God-Self even more. It is time for you to shine so brightly with your soul powers, and we are here to support you on this holy endeavor. Call upon us for assistance, for we are with you, always.